By its nature, fraud is a crime of secrets. The depth and breadth of these secrets are part of the reasons why whistleblowers are such an essential part of the fight against health care fraud. The law recognizes this and both rewards and protects health care fraud whistleblowers for their role in helping return wrongfully diverted government health care funds to already-strained program budgets like Medicare and Medicaid. As a whistleblowers’ law firm, The Brod Law Firm is proud to work with the men and women who speak up when others might remain silent. One whistleblower in Oregon is currently pursuing a lawsuit against his former employer claiming illegal retaliation based on his role in reporting potentially fraudulent Medicare claims. According to The Oregonian, Dr. Robert Dannenhoffer filed a federal whistleblower claim late last week against Architrave Health LLC, a health care organization in southern Oregon. Dr. Dannenhoffer claims that a subsidiary company, Umpqua Medical Group, set up an improper compensation structure that rewarded doctors for prescribing certain medications and procedures for Medicare patients. 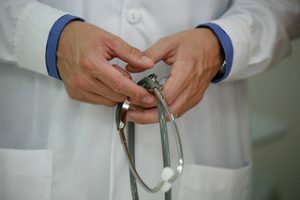 He says the pay structure led to inflated Medicare payments in violation of both the False Claims Act, a general law dealing with fraudulent claims for government funds, and the Stark Act, a law specifically limiting the ability of medical providers from profiting on referrals. Per his lawsuit, Dr. Dannenhoffer says he insisted that Architrave self-report some $10 million in improper Medicare payments to Umpqua. He alleges that he was then fired from a position as Architrave’s CEO. Further, he claims the company’s leadership used their clout in the local medical community to get him removed from one position and to ensure he was not selected for another job opportunity. Dr. Dannenhoffer is asking the court to reinstate him to his former position and asks for financial damages including back pay, punitive damages, and attorney’s fees. Subsection (h) of the False Claims Act (31 U.SC §3730(h)) provides a cause of action for a whistleblower who is “discriminated against in the terms and conditions of employment” because the individual attempted to stop a violation of the Act. In plain terms, the subsection allows a whistleblower to bring a federal lawsuit against an employer who fires, demotes, or otherwise punishes the whistleblower for filing suit or otherwise trying to stop the filing of false claims for payment with the federal government. These retaliation claims must be brought within three years of the discriminatory act (e.g., three years from the date of a retaliatory firing). Under the provision, a successful claim can result in reinstatement, double back pay, interest, and repayment of other sustained due to the discrimination including litigation costs and attorneys’ fees. We are proud to partner with private individuals who serve as whistleblowers in the fight against health care fraud and government contracts fraud. Our commitment as a government fraud whistleblowers’ law firm includes protecting these whistleblowers against retaliation. We also ensure that our clients receive the reward the law provides if their suit leads to a recovery on behalf of the government, a reward that can be up to 30% of the amount recovered. If you’ve witnessed fraud on the United States government or any of its agencies, call to learn how we can help you use the False Claims Act to stand up for truth. We also work on cases involving fraud on state government using to fight fraud similar legislation at the state level.